The Treaty of Peace, Friendship and Cooperation, signed this month forty years ago between India and the Soviet Union, resonates in policy circles in post-cold war world order. The treaty signed in the height of the cold war reflected the ‘model’ relationship between the only alternate superpower and the largest democratic country beyond bi-polar affiliation. It still holds lessons to be learnt in the post-cold war international politics. The treaty was reflective of burgeoning Indo-Soviet relations and also instructive enough to reflect the prevalent bloc politics and associated international churning particularly in South Asia, which evinced interests from the Soviet Union, the US and China. The contents of the treaty still hold mirror for many ongoing turbulences passing through the Indian subcontinent as well as surrounding regions. While focusing on pros and cons of the treaty, it is necessary to keep in mind the situations which prepared the background for the treaty. In the height of the cold war, it was but natural for super powers the Soviet Union and the US to search for allies and enhance their positions. The British India was partitioned into India and Pakistan after the British rulers left. But the legacy of divide and rule persisted. The ‘cancer’ left by colonialism remained and proliferated to independent states India and Pakistan. Pakistan due its strategic location as a gateway to Central Asia, and as a strategic region in the criss-cross of erstwhile Russian and British empires and also as a link to China found itself in the US bloc particularly after the signing of South East Atlantic Treaty Organization in 1954 and the Baghdad Pact of 1955. India and likeminded developing countries spearheaded Non-aligned Movement from Bandung in Indonesia in 1955. After the developments just mentioned, Indo-Soviet relations started gaining momentum particularly after the visit of Soviet leaders Khrushchev and Bulganin to India in 1955. India’s first Prime Minister, Jawaharlal Nehru silenced critics by arguing that such a relationship can survive without any trace of bloc politics. He argued, “We have had their (Soviet leadership) goodwill and their good wishes all along …and this is the consolation to us and we certainly hope to have that in future.” The Soviet role in brokering peace during 1965 India-Pakistan war, and its support to India’s economic development further brought both the countries closer. No doubt there were ups and downs in bilateral relations, but the overall tempo in relations remained or rather enhanced. Despite some policy changes in the initial Brezhnev years towards widening the Soviet reach in South Asia by initiating ideas such as South Asian Regional Trade and Transit treaty and an Asian Collective security system, the imperatives of cold war held the sway in favour of increasing contestation instead of cooperation. India-Pakistan conflicts to a large extent defined the contours of cold war politics in the region. Soviet Union had on many occasions urged both the countries to resolve disputes in a peaceful manner. Soviet President Podgorny, in a letter to Pakistan President Yahya Khan on 2 April 1971, appealed for ‘the most urgent measures to stop the bloodshed and repression against the population of East Pakistan’ and to seek a ‘peaceful political settlement.’ Indian Foreign Minister Swaran Singh visited Moscow in June 1971 and met his Soviet counterpart, Andrei Gromyko and discussed various issues including war threats, growing discord between India and the US and Chinese interests in the region. These factors, among others, provided the background for India and the Soviet Union to enter into the Treaty of Peace, Friendship and Cooperation on 9 August 1971. The Treaty mainly dealt with the promotion of friendship, peace and security both at bilateral and international levels. The treaty, consisting of 12 Articles, was based on mutual respect for each other’s sovereignty despite ideological differences. It provided for the expansion of economic, scientific and technological cooperation mutually advantageous to both. It was signed for a period of twenty years as a legal and political basis of Indo-Soviet cooperation. It was the only Soviet-Third World treaty which included ‘peace’ in the title. The treaty declared, “The further development of friendship and cooperation meets the basic national interests of the states as well as the interests of lasting peace in Asia and the world….” Article IX of the treaty provided that the “contracting parties will consult each other in case of attack or threat thereof to remove such threat and to take appropriate effective measures to ensure peace and security of their countries.” The treaty offered credible assurances to India of Soviet assistance in the event of war. India’s relations with Pakistan became increasingly strained as the situation in East Pakistan worsened with millions of refugees pouring into India. Prime Minister Indira Gandhi visited the Soviet Union in September 1971 to discuss the developments in East Pakistan and their impact on India. The Joint Statement testified to the mutual understanding on many issues. There was full accord in the assessment of the East Pakistan situation, which demanded urgent measures to reach a political solution, paying regard to the ‘rights and lawful interests of the people of East Bengal.’ As expected, the Indo-Pak conflict was entangled in the wider global politics, reflected in heated exchanges in the United Nations Security Council on the issue. Chinese Ambassador Huang Hua, during the debate on 5 December 1971 criticized India’s ‘aggression’ and blamed ‘social-imperialism’ as main supporter, which was countered by the Soviet Ambassador Jacob Malik as ‘chatter, prattle and demagogy.’ Tension was heightened by the decision of the US to send a taskforce of its Seventh Fleet, headed by the nuclear-powered aircraft carrier, USS Enterprise, from the Gulf of Tonkin to the Bay of Bengal, which was countered by the Soviet Fleet in the Indian Ocean. Without delving deeper of the Indo-Pak war and debating over rights and wrongs of the parties involved in the conflict and its consequences, thus unnecessarily raking up old issues, it will be apt to point out that the treaty of 1971 reflected strong relationship between India and Soviet Union in the prevailing chaos emanating from the cold war politics. However, it needs emphasis that the treaty still holds good for indicating many unfulfilled dreams for international peace and security. The treaty, in the post-cold war, was reinforced by the friendship treaty of 1993, and the Strategic Partnership agreement of 2000. But, on the eve of 40th anniversary of signing of the treaty, it appears relevant to ask the question: is the chaos of cold war still persisting? Or are there ghosts of cold war still resurfacing and moulding policies of nations? Are there newer versions of cold war or are there new cold wars? The developments around the world including in South Asia particularly the Af-Pak region, the turbulence in the Middle East, and the politics over nuclear disarmament further point to the relevance of the treaty. In this context Article II of the treaty needs special mention. Article II of the treaty reads that parties “declare their determination to continue their efforts to preserve and to strengthen peace in Asia and throughout the world, to halt the arms race and to achieve general and complete disarmament, including both nuclear and conventional, under effective international control.” Any objective analysis of post-cold war international politics will corroborate how these ideals still remain unrealized. Rather, the world has witnessed further deterioration in relations among nations, the rise of forces of terrorism and fundamentalism, illegal arms transfers and prospects of proliferation of nuclear weapons and their falling into the hands of rogue elements. International peace and security remain as fragile as before, as nations have not been able to develop a coordinated policy on various issues including on the issues of Iran, North Korea, Arab world, Afghanistan, despite international bodies like the United Nation running 60 and odd years. From this perspective, the treaty appears relevant. 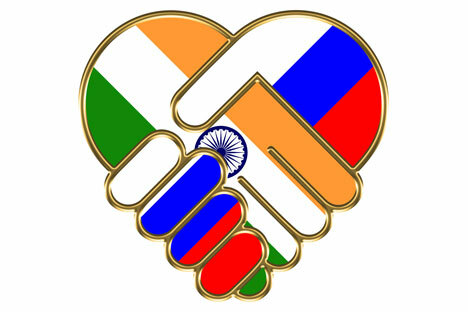 More so, it also brings upon India and Russia to further strengthen their relations and contribute towards making the world peaceful and non-violent and fair.